This sheet cake was finished in creamy buttercream icing coloured green. The buttercream was piped all over the cake to make it look like grass. 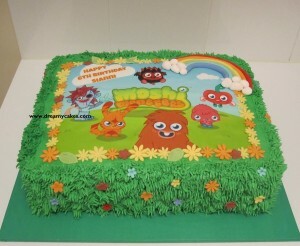 I next added an edible image of the Moshi Monsters characters and created a border around the edible image from little hand made fondant flowers and leaves. The design was finished with a fondant rainbow in the top corner. It turned out to be a really bright and fun cake. 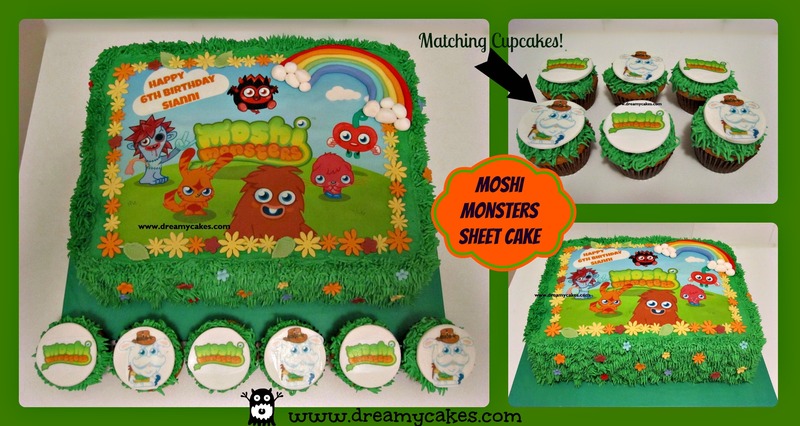 I also created some matching photo cupcakes with the Moshi Monsters name and the birthday girl’s favourite character, Buster. 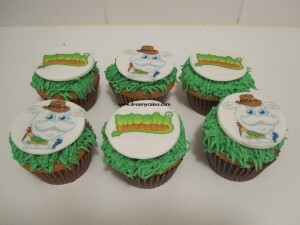 The cupcakes were iced in buttercream with the piped ‘grass’ and topped with a circle of fondant displaying the edible image. 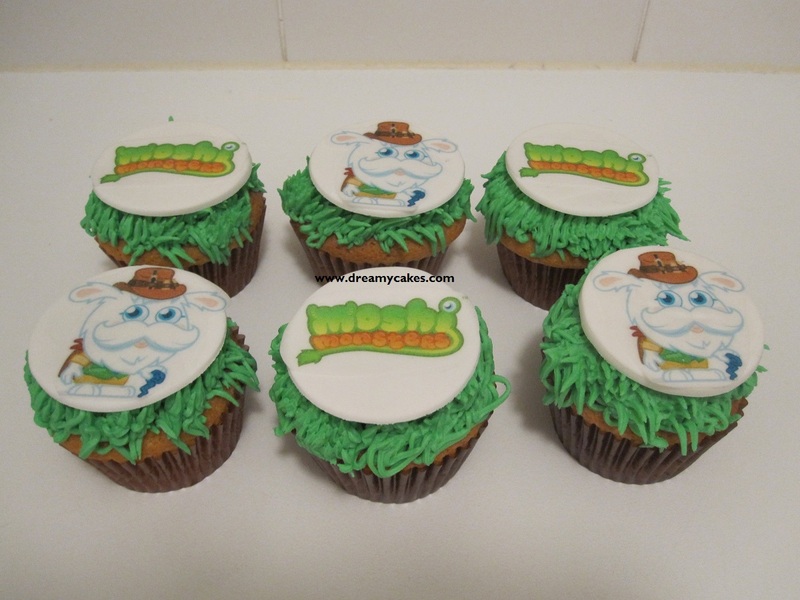 At Dreamy Cakes, we can create edible photo cakes in any theme or character. If your child has a favourite t.v character that they love – we can turn it into a special birthday cake.